Pay by phone bingo is a clever way that allows you to literally play bingo by paying by phone. Many people often see it as one of the advantages of being able to play bingo using their mobile phone and as such, there are a number of pay by phone bingo sites out there! 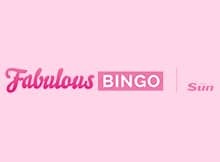 If you are looking exclusively for bingo sites which allow you to pay by phone, or it is an important factor to you when choosing one, we can help you to find the best ones to narrow down your choice. This page is dedicated towards helping you to reach a decision and covers some of the most important considerations that people mull over when thinking about this. What are pay by phone bingo sites? These are bingo sites which allow you to make deposits via your mobile phone, though it is added onto your mobile phone bill. In terms of the games that you can play, these are just the same as what you would find at other bingo sites, the only difference being is that you can deposit using your mobile phone bill as a payment option. The two companies behind this technology are Boku and Payforit, who saw an opportunity in the market to make it more convenient for players who wanted to get on with their gameplay. You will find the reviews of all of the best pay by phone bingo sites right here, so you can peruse at your leisure before you make your decision and weigh up all of your options. Why deposit using the pay by phone option? One of the biggest draws of pay by phone bill bingo sites is the high levels of security that come with it. While bingo sites are generally secure anyway, this adds an extra layer, especially if you are naturally cautious about entering your card details online as a general rule. This lends a considerable amount of peace of mind and ensure that your bank account is safe from any breach. Also, it is quick, simple and convenient which is really handy if you like playing online bingo while you are on the move. With online bingo being a fast paced venture, the ability to make a deposit at the tap of a button and then carry on playing makes for a seamless experience and especially considering you are on a mobile phone. It can be tricky filling in fields if you go through a normal payment system, where you have to do it via credit or debit card for example, or even a payment gateway such as PayPal or Skrill. It is also a great way to become more conscious of your spending, especially if you visibly see it on your phone bill every month (or whatever period you pay for it). As a result of which, you can then start to regulate your spending accordingly. One glaring disadvantage about pay by phone mobile bingo sites is that you can’t withdraw any winnings using this method. While paying by phone might seem convenient at the time, if you really need access to winnings, it makes for a longer process. Also, what you will tend to find with deposit by phone bill options, is that a nominal fee is usually charged for the privilege of being able to do this, so if you end up losing anyway, you pay in more ways than one! It also means that if you do this continuously on a regular basis, the cost can soon add up in fees alone, so it is always worth weighing up the risk before deciding to use pay by phone bingo sites. Another drawback, which can be perhaps the most frustrating for most players, depending of course how important this is to you, but some bingo pay by phone bill sites, prevent you from claiming a number of their bonus offers. Before committing to a particular pay by mobile phone bingo site, it is always worth checking to see which ones do this. Our comprehensive review section will provide you with most of these details. There are a wide range of games that you can enjoy on pay by phone bingo sites, including all types of bingo that you would expect to find on most operator websites. This might include 75 ball bingo and 90 ball bingo, jackpot games that you can enter and also different rooms. Obviously, each operator will have different games, so it’s just a case of finding which one appeals to you the most. Also, most bingo sites you can pay by phone bill, offer a wide selection of casino slots as an added accompaniment to their offering and as such bingo bonuses sometimes crossover with slots, offering free spins as an added perk. Though, you can usually find all of the newest and most popular slots to enjoy as and when you like! Find a top pay by phone bingo site today! 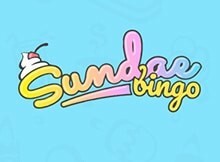 Here at BingoSites.co.uk, you can be confident of finding a pay by phone bill bingo site that will suit your needs, with each one being reviewed by a well-informed industry expert who is up to date with all of the latest changes in online bingo and the accompanying technology changes. Definitely check out our reviews page, because we pay particular attention to a number of reputable pay by phone bingo sites, due to the fact that we realise that this method is becoming a very popular way to play, though we highly encourage you to mitigate your risks accordingly, if you feel that this wouldn’t be for you. There is no harm in trying different ones if you aren’t immediately sure about one in particular – it will better allow you to come to a more informed decision. We realise that everyone has their own personal taste and all we can do is review as objectively as possible with our readers very much at the forefront of our minds. Once you find one that you like and want to use on a regular basis, you are in no way obligated to stay with the others that signed up to, even if you used any welcome bonus. Opting out of any unsolicited marketing material is a good way of ensuring that you aren’t lured back. We understand that you may have questions relating to this about areas that we may not have covered, so have answered the most common ones below. If there is anything else we can you with, please do not hesitate to get in touch, via our ‘Contact Us’ page and we will do our best to answer promptly. How do I deposit with my mobile? It really couldn’t be any easier! If you are using a mobile bingo pay by phone bill site and you want to make a deposit, you are simply reminded to enter your mobile phone number and then this amount is added to your mobile phone bill. Do all bingo sites charge for using this payment method? Generally, this is usually the case and very rare that it doesn’t happen, although it is always worth checking. Our reviews give a comprehensive breakdown of all of the best pay by mobile phone bingo sites and will advise on the sites that do, though it is common to be charged for this method. Is it safe to play bingo using a mobile? Every online bingo operator that we work with has been regulated and approved by a relevant gambling commission and has SSL encryption, which means that they comply with all of the legislation and payments are secure. Pay by mobile phone sites, are even more secure, because you don’t have to enter any bank card details. However, if you are playing by mobile, it is always worth using a secure wifi connection. How fast are pay by mobile deposits? Every pay by mobile deposit is usually instant, because of the fact that the cost is simply added onto your mobile phone bill. It means that you can continue playing bingo straight away, without having to worry about waiting for any funds to land in your gambling account. 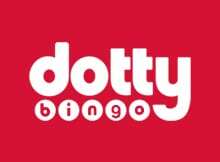 Where can I find the best pay by phone bingo site? Here at BingoSites.co.uk, we provide extensive reviews of all of the very best pay by phone sites and are constantly ensuring that we stay updated with any changes that occur. This allows us to make sure that we can edit the reviews accordingly. Some pay by phone bingo operators may differ from others, in terms of the amount of games they offer, or bonus sizes and even usability, though we understand that everyone has different tastes. Ultimately we endeavour to be accurate and objective and if you are looking to make a choice about which pay by phone bingo site to join, have a read through our reviews which are there to aid you in your decision making process.